Ice cubes and candles? It might sound messy, but as far as home decor goes, fire and ice can be a great combination. Your child can make beautiful and unique candles as a gift for others or to enjoy around the home! Invite your child to cut and remove the top half of the milk carton and use a paper towel to dry the container. Offer your child a ruler and invite him to measure the side of the container, and then add an inch, encouraging his maths and measurement skills! He can use the number he comes up with to measure and cut a length of wick for the candle. Now your child can tie the wick to the pencil and position it across the top of the milk container, so that the wick hangs in the middle straight down to the bottom of the milk carton. Help your child create a double-boiler for melting the candle wax by filling the bottom of a sauté pan with water and positioning the washed and dried coffee can in the middle. Your child can turn the heat to medium and then place cubes of the candle wax in the coffee can. Encourage your child to watch as the wax melts, making sure the water doesn’t simmer out of the sauté pan. Once the wax has melted, he can turn off the heat and get the rest of the candle preparations completed. 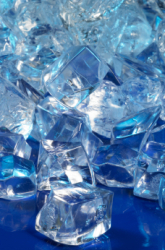 Offer your child several ice cubes to drop in the bottom of the milk container. 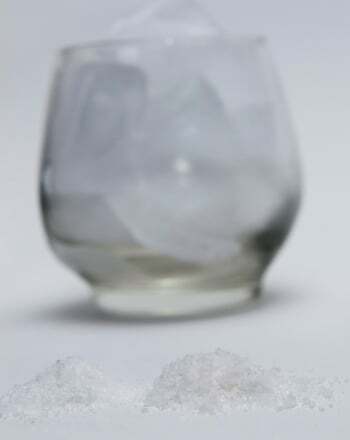 He can carefully place the ice cubes around the wick and sprinkle with glitter. Now invite your child to carefully pour the wax into the milk carton over the ice cubes and glitter – use an oven mitt; wax is hot! Once all the wax has been poured, let the candle set overnight. 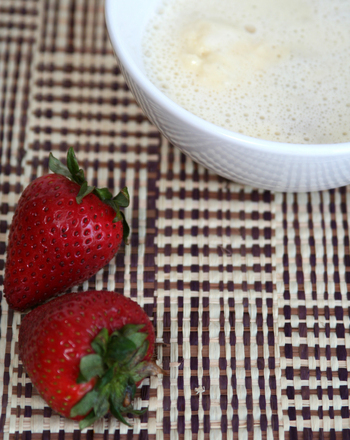 Then, invite your child to cut the wick from the pencil and peel away the milk carton – over the sink! 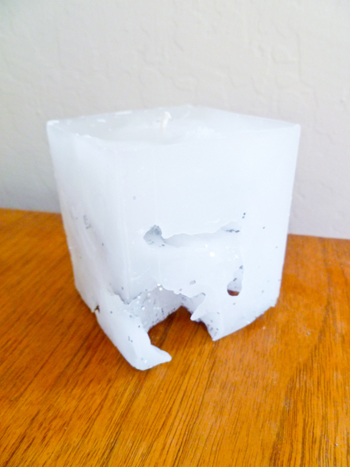 That hot wax, leaving interesting nooks and crannies in your child’s special candle, has melted all the ice cubes! Invite your child to find the perfect spot to put the candle, making sure to put a small plate underneath it, and ask an adult for help lighting it. 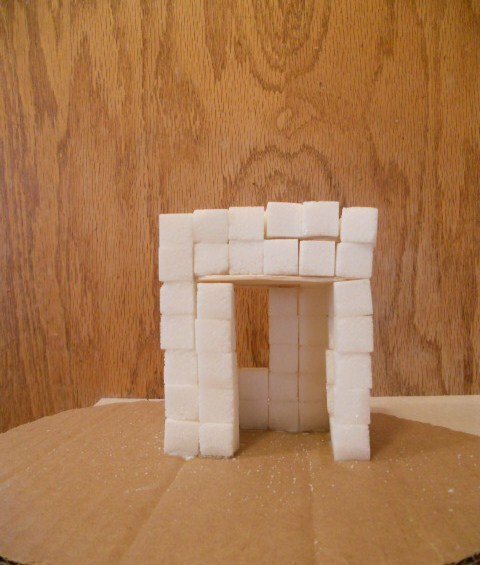 Make a miniature version in this sweet geometry activity. 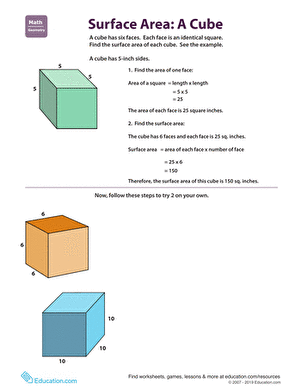 This worksheet helps students to explore this topic by explaining that when you “cube” a number you are multiplying it by itself two times. 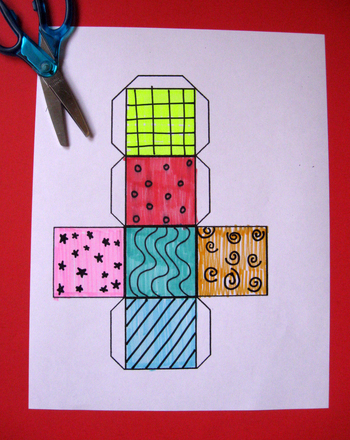 Make learning how to calculate surface area easy and fun using this simple hands-on approach. Kids review squared and cubed numbers, then try their hand at finding the square root or cube root of a number in this beginning algebra worksheet.